The Industrial Impact High Abrasion Dexterity glove provides all-condition grip. 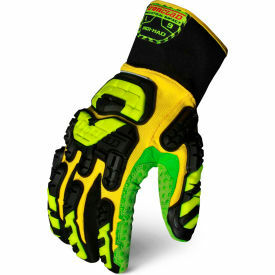 It features a highly abrasion resistant Hi-Vis palm that provides extreme durability. The palm has PVC/PU grip dots for grip in all conditions. It’s lightweight, breathable, and offers full back of hand protection on the fingers, knuckles and metacarpal bones.